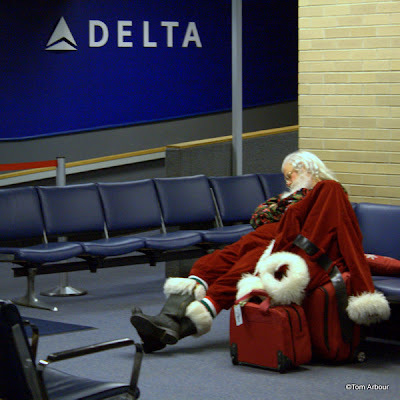 A VERY TIRED Santa waits to board a flight to Detroit Michigan (presumably he was destined for a connection further north) from Akron-Canton, 5:30 Christmas morning, 2009. Ha! Classic. I love the way his bags are red, too. Happy New Year, hon!